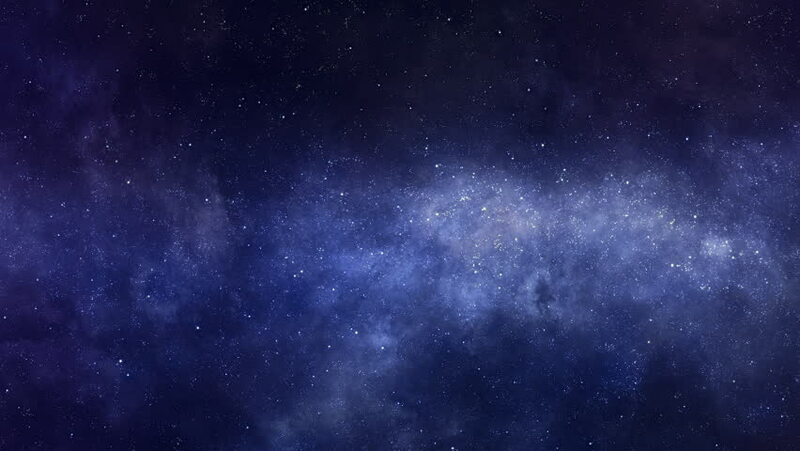 Space background. Camera is flying through the blue and magenta coloured nebula. The stars are everywhere around. Looped video.